Supporting local learning professionals to do their best work. Use our chapter ChIP Code CH5058 when making purchases from the ATD Store. 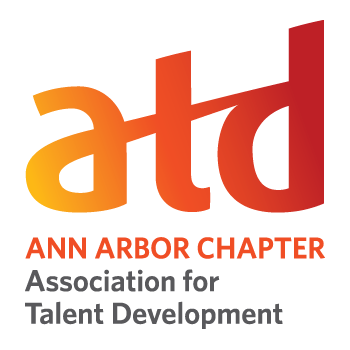 Our Ann Arbor chapter is one of more than 150 international chapters of the Association for Talent Development (ATD), the world's largest professional association for human resource development professionals who design and implement training, workplace learning, change management, and human performance technologies. Mission: Empower professionals to develop knowledge & skills successfully. Vision: Create a world that works better. We hope to see you soon at one of our many Chapter Events! Can't see any forum posts? Become a member today to see discussions, job postings, and more! A2ATD has successfully met all 18 required CARE elements and is recognized for 100 percent achievement of CARE for 2018! Creating a World that Works Better.